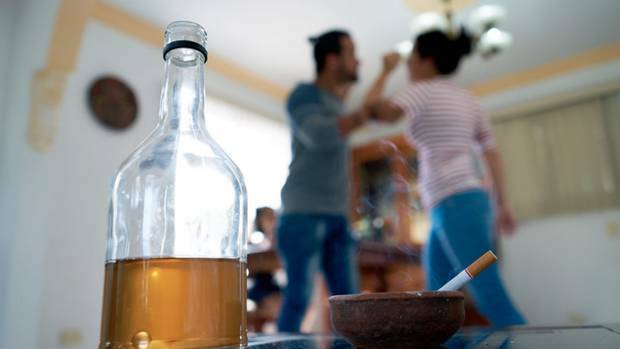 A team of 20 drug and alcohol rehabilitation experts – including former addicts – is bringing an intensive four-day addiction workshop to Raetihi. Supported by Uenuku Charitable Trust, local health providers, community organisations and the police, the Auckland-based group He Waka Eke Noa will bring a whānau and community-based Kaupapa Māori approach to addiction support next month. The marae-based workshop from August 5 to 10 follows on from a community-supported meths (“P”) addiction workshop held at Raetihi, which included former addicts who have turned their lives around with support from a range of alcohol and drug addiction experts. The Raetihi addiction workshop is aimed at focusing support on up to 50 users and addicts, and those directly affected by substance abuse. The Raetihi marae venue will be confirmed soon. He Waka Eke Noa member, Uenuku descendant Bessina Pehi-Tamatea, has been key in lining up for Raetihi a broad range of addiction support workers including from the Higher Ground severe addiction rehabilitation unit in Auckland, the Salvation Army Bridge, Drug Court, Wings Trust, Odyssey, Te Ara Hou, prison, Epsom Lodge, community, Narcotics Anonymous and Alcoholics Anonymous. “There is lots of talent in the mix,” Bessina said. “There will be A&D counselling, peer support and other workers too. The purpose is to engage with current users of drugs and alcohol and to support a change by showing how kaupapa Māori and clinical approaches can influence recovery-based daily living. The non-profit organisation has been using kaupapa Māori resources to help addicts stay clean and sober. Uenuku Charitable Trust’s Kāhui Pou project manager Honey Winter said the workshop team is engaging with iwi, health providers, the Police, justice systems and the wider communities of Raetihi, National Park, Ohakune, Whanganui, Taihape, Pipiriki, Jerusalem and Waiouru, and is taking registrations and referrals now. People wanting to register can contact their health provider or the police, or email enquiries@uenuku.iwi.nz or phone 027 5444 744. “Uenuku has secured funding to cover marae and kai – we want to ensure that those who want to make changes in their lives are able to attend to take advantage of the incredible array of expertise in this group,” Honey said. The programme will run from 9am-3pm, with a night component (6-8pm) of therapeutic interventions, waiata, haka and whakawhanaungatanga, to cater for those who work during the day.